Seen at her Manhattan apartment, Miranda Kerr looked fantastic in a pair of black leather pants, white top and blazer. Adding classy color, Randa also carried her Celine handbag. No positive ID for Miranda's ankle-zip leathers but they are possibly Current/Elliott's Black Cropped Leather Zip Pants which are a costly $895.00 at singer22.com. Out to promote Puss in Boots at the film's LA premiere on the weeked, Salma Hayek complimented her curves and colorings in a autumnal-shaded Bottega Veneta dress. Accessorizing were black Giuseppe Zanotti sling-backs and a gilded snakeskin clutch from Alexander McQueen. Megan Fox was also seen heading out to the film's premiere but went all low-key in a simple t-shirt and jeans combo, teamed with fringed Brian Atwood high-heel boots. Megan's Brian Atwood "Tempeta" Fringed Boots cost $450.00 at shopbop.com; she is wearing Olive but they also come in Black. She always does the charity proud wearing their beads and AnnaLynne McCord looked gorgeous attending the Somali Mam Foundation Benefit on October 20. Sticking with another of her faves, AnnaLynne wore Alice + Olivia's black sparkle "Rumor" dress with some of the Somali Mam Foundation's empowerment beads worn as a bracelet. AnnaLynne's Alice + Olivia "Rumor" Dress costs $396.00 on-line at singer22.com. Camilla Belle attended the private presentation of Salvatore Ferragamo's Spring/Summer 2012 collection in Moscow last week. Doing the designer proud, she looked beautiful in an all Ferragamo outfit of shimmering silver dress, white clutch and cap-toe pumps. Bringing visions of summer to the Rodeo Drive Walk of Style Awards on October 23. Sofia Vergara complimented her bronze skin in shades of ocean blue with her Missoni gown. Going along with that ocean theme were a coral statement earrings and coral star cuff by Lorraine Schwartz. You can get your own coral touch, without a Schwartz price-tag, with Lucky Brand's $25.00 Teardrop Stone Earrings from macys.com. Donning tough chains and leather (well, it was rock week), Tulisa Contostavlos looked great on stage for X Factor's Saturday night show. Tula's incredible black full-length was from Herve Leger and, again going with the rock week theme, she went with a cool quiffed hairdo. 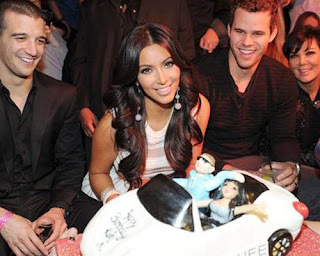 It's been a great time for Kim Kardashian lately - marriage, hit shows, multi-million dollar empire, and on October 22 she celebrated her birthday in style at the Marquee nightclub in LV. Kim was stunning in a white bandage dress that clung to her trademark curves. Glittering disco-ball-like earrings and even more Lorraine Schwartz jewels on her wrists, plus some metallic Louboutin heels accessorized. Olivia Wilde and Amanda Seyfried both attended the In Time premiere on October 20. Olivia kept her red carpet look fairly chic and simple, opting for a black Yigal Azrouël dress and Christian Louboutin heels. Added statement came from her gold jewelry and leopard Alexander McQueen clutch. Looking lush in lilac Amanda opted for a purple print Prabal Gurung dress that worked gorgeously with her blonde hair and blue-eye colorings. The dress is from the Spring 2012 collection so looked a little bit out of place on the red carpet but Amanda gave it added glitz with some Jimmy Choo sandals.